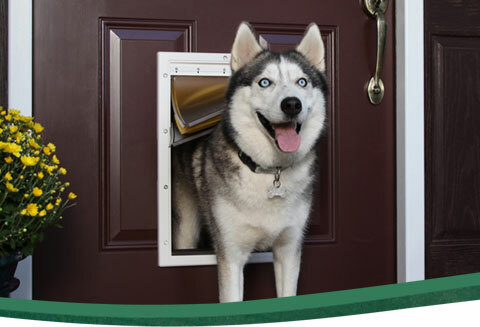 Install a pet door in an exterior door to give your pet access to your yard. We've even got a special pet door designed just for paneled doors. You can also install a pet door in a wall. 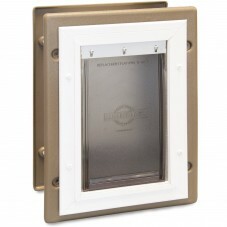 Many of our pet doors have optional tunnel extensions to allow you to install them in wood, stucco, or even brick walls. Pet doors can be installed almost anywhere in your home. Whether you want to let your dog out to play in the yard, give your cat access to the litter box in the laundry room, or let some pets out and keep other pets in, pet doors make life easier for you and your pet. Most pet doors fit small and large dogs and cats. Cat doors are designed for cats but can fit some small dogs. Extra large door flaps might be too heavy for cats or small dogs to push open. Measure each pet who will use the door and check the weight and height recommendations for each pet door. 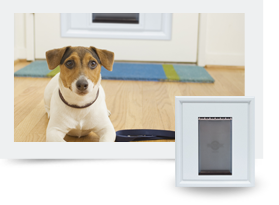 Pet doors install in minutes and give you years of independance and convenience. 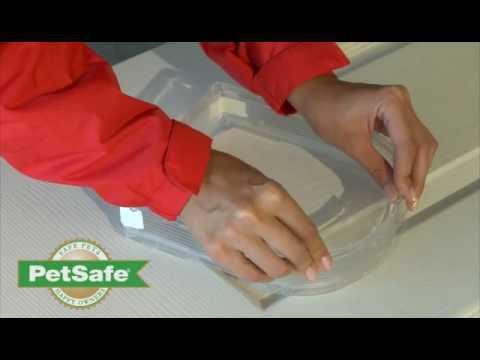 Installing a pet door is easy with a little do-it-yourself knowledge. Before purchasing a pet door, you should consider where you will install it. Some pet doors are meant to be installed in walls or doors of a specific thickness. Many of our pet doors can be installed in a standard door or a wall. You might need to purchase an extension tunnel for installing in walls and doors thicker than 2 inches. Measure the thickness of the wall or door you will install the pet door in and check the pet door’s recommendations to be sure they are compatible. 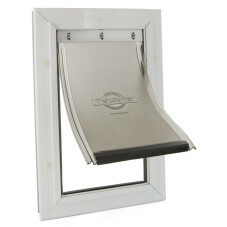 If your wall/door is too thin, the pet door might stick out or it might not fit right. If the door/wall is too thick, you might be able to see the inner part of your door, the part you cut out to fit in the pet door. You can purchase a tunnel or inner stripping to hide this. 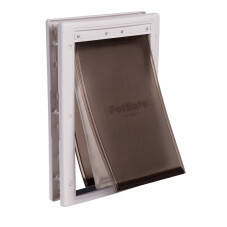 Our electronic pet doors give you the option of keeping some pets in and letting other pets out. The selective entry doors recognize each pet’s special collar key, which also helps prevent other animals from coming into your house. 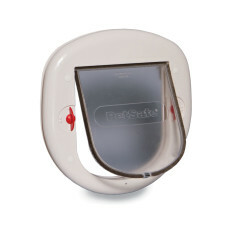 Learn more about electronic doors. Can I install it in a wall? Which replacement flap works with my door?